Advertise your country Western event with a touch of fashion and a lot of flair when you send out Modern Rodeo Club Flyers in advance. 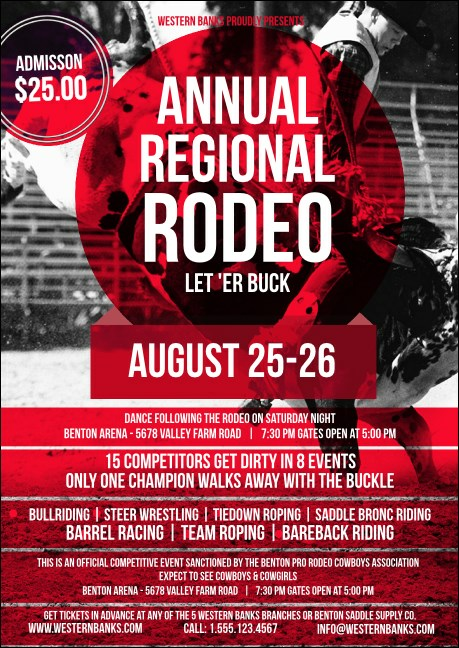 Each Club Flyer puts you right in the middle of the action with a black and white photo background that features a bull rider doing what he does best, along with over twenty lines of custom text for all your event details. Win the advertising race with a little help from TicketPrinting.com.